Donnybrook is coming soon!Sign up to be notified when tickets go on sale near you. usheru will use your email to let you know when tickets for Donnybrook go on sale. 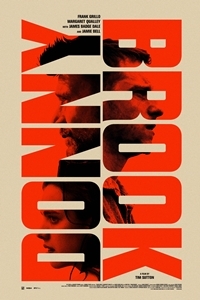 Frank Grillo and Jamie Bell are just two of the desperate men and women headed for "The Donnybrook" - a no-holds-barred bare-knuckle fight contest with a $100,000 prize - in this midwestern gothic journey into a heartland of darkness.